Tom Hogli and William Kvist were speaking on a video produced by the Danish players' association and published by world union FIFPro. "That thousands must die to build stadiums has nothing to do with football," Kvist said. The Qatari government has always rejected claims workers have died. However, human rights organisation Amnesty International has accused Qatar of abusing World Cup workers, while Hogli said conditions were "cruel". The BBC spoke to one English construction worker who left the country after two weeks because, in his words, the conditions were "an absolute disgrace". 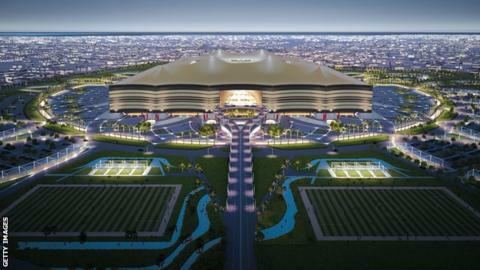 Other critics have claimed that 1,200 workers have already died and up to 4,000 could perish before the World Cup begins, a figure denied by Qatar.